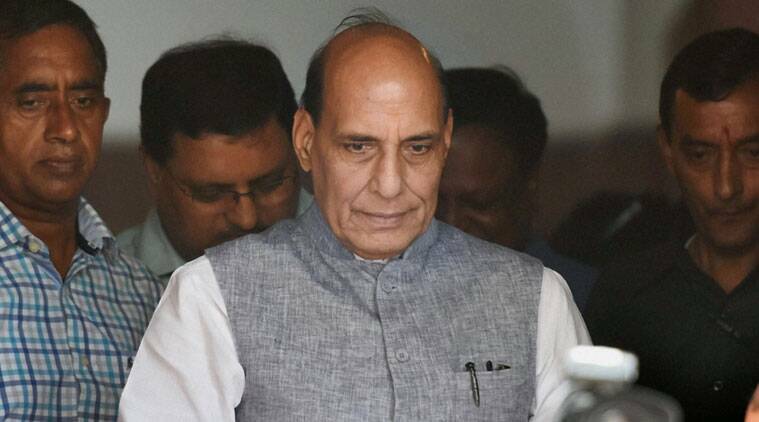 During his speech at the SAARC meet in Islamabad, Rajnath Singh also made veiled comments against Pakistan, saying mere condemnation of terrorism was not enough. Commenting on Union Home Minister Rajnath Singh’s terse speech in Islamabad during the seventh SAARC Home Ministers meeting, BJP leader Prem Shukla has said Singh should be appreciated for the way he has unmasked the ill-intentions of Pakistan on its own soil. The former executive editor of Shiv Sena’s Hindi language mouthpiece ‘Dopahar ka Saamna’, Shukla added India has a very clear stance that there can be no peace talks till Pakistan continues to support terrorism. When asked about Pakistan Interior Minister Chaudhry Nisar Ali Khan’s comment that no country should try and hide behind the word ‘terrorism’ and divert attention from demands of freedom, Shukla said Kashmir is already free and there is a democratic process there. “If Pakistan is making such statements then it should also answer why it is committing atrocities on its own people who are demanding freedom in Balochistan, North West Frontier and Karachi,” Shukla told ANI. He further said that according to the law that was created after the freedom for the fusion of estates between India and Pakistan under the India Independence Act and according to the democratic process that exists there, Jammu and Kashmir is completely a part of India. However, Balochistan is not an internal part of Pakistan. He alleged that Pakistan is now indulging in proxy war as it has already faced defeat in four wars so, it does not dares to incite a direct war with India. He said that Pakistan wants to pressurize India by veiling terrorism under movement for freedom. Shukla said that Pakistan has nothing to do with Kashmir and the thing that needs to be done is that Pakistan-occupied-Kashmir (PoK) needs to be freed from the control of Pakistan and integrated into Jammu and Kashmir to make it an internal part of India. He categorically stated that there is no good or bad terrorist. Singh said strongest action should be initiated not only against terrorists but also against organisations, individuals and nations supporting terror.